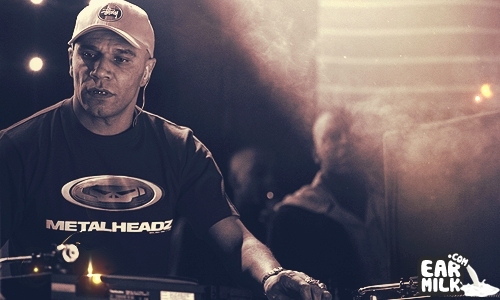 When you talk about DnB and the early pioneers you can't really do any talking unless Monsieur Goldie is involved. He has been around the scene since it's early inception and was hurling jungle onto the world before it was called jungle. Not being one to resist the times and trends he has branched out into acting, appearing as a dopy villain in one of the bond films, and popular UK Tv series Eastenders. Recently he has even given a talk of TED where he conducted an orchestra, and is still heavily involved in graffiti art and pushing the boundaries of DnB by experimenting with full orchestras and live bands. His imprint Metalheadz have been at the top of the scene for a long while and are well known for putting out some bloody dope chooons. Metalheadz started dropping their back catalog and new releases over their soundcloud yesterday. Some tasty rolling beats and treats below.